Tucked away at the southern edge of Broward County, Deerfield Beach is one of Florida’s most vibrant coastal cities. Like other cities touching the Atlantic, it’s lush palm trees and warm climate make it a prominent wedding destination – or setting for any important event. What better place to enjoy an authentic Hawaiian Luau ( Florida style ) than along the shoreline with the sun painted against the horizon? Let Drums of Polynesia event planners and performers take you on a journey through time, where you and your guests are lucky enough to explore the intensity and charm of Polynesian culture and share it each other for the memories of a lifetime. Unlike typical boring parties, a tiki party / island themed event foffers a chance to relive colorful island culture traditions that have existed hundreds of years. Ready to learn more? Click here to reach the party event planner or call for a free quote at (954) 351-5069. 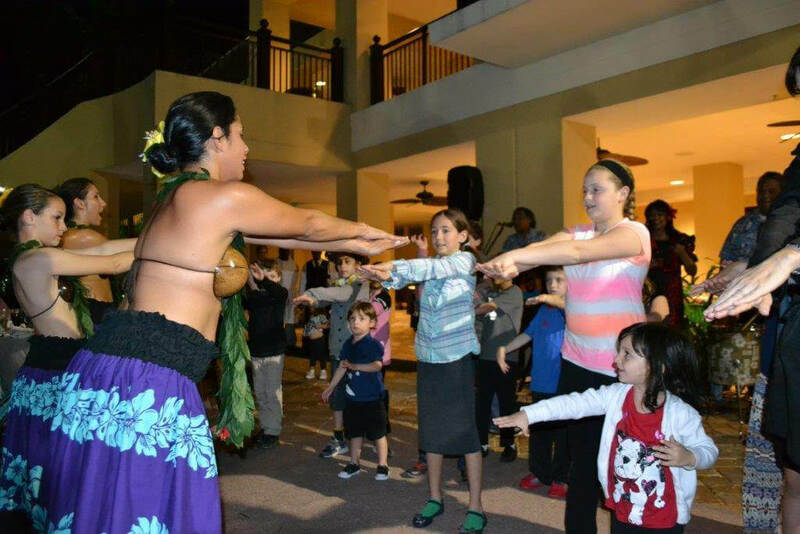 Drums of Polynesia brings the mystery and beauty of ceremonial island dances like the hula all the way from Polynesia to the shores of Deerfield Beach. Influenced by one of the most celebrated banquet styles in the world, their catering offers the same experience the team has been sharing with families and their friends at weddings, bar mitvahs, birthday parties, and other special events in the Deerfield Beach area for years ( corporate events too of course ). It is the genuine feel of Polynesian inspired tradition that has become the beating drum of every tiki party and the perfect blend of tropical spices and enchanting rhythms that brings the atmosphere to life. 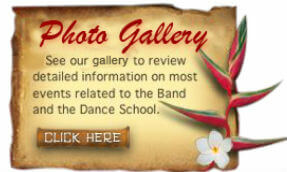 Drums of Polynesia is a more than just a catering service and party planner. The company aims to simulate the entire passage of the Hawaiian Luau, from the fire dance to the famed roasted pig ( if you’d like of course ). It offers event planning for weddings, corporate events, Bar Mitzvahs, birthday celebrations, and other events in order to ensure your tiki party looks and feels authentic. Services also include traditional Hawaiian entertainment, featuring hula dancers in full customary attire, live music, and decorations. By providing a deeply memorable experience, Drums of Polynesia hopes to preserve the artistry and enchantment Polynesian culture. In one scenario, the Feast begins with a 150 lb pig cooked underground, while fire and hula dancers perform to a festive, polynesian drum cadence. As guests become immersed in the entertainment, two male warriors, dressed in sarongs, present the ceremonial roast. 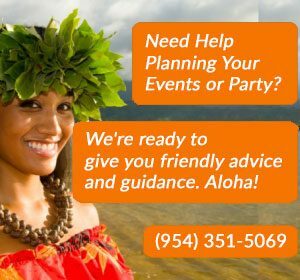 Drums of Polynesia is your premier catering service for tiki-themed events in the Florida area, and with a range of packages available to fit your budget, your fantasy Luau / Tiki Party may be more affordable than you think. Click here to reach the party event planner or call for a free quote at (954) 351-5069.